My life requires that I’m in spandex 24-7. And I LOVE it! After years of research I think I’ve nailed down some great places to get workout clothes in Toronto. I can’t believe I’m giving away my top store secret here – this place is a little gem. I get tons of compliments on their unique designs. I love their tops, very fun bright colours with great style to their cuts. I have the shirt pictured here and love wearing it with my bright pink spandex pants! Woooo hoooo fitness!! The prices at Joe Fresh are unbeatable and their active stuff is super cute! It’s great to have some workout options that don’t break the bank. Especially if you’re doing the majority of your workouts outside with the Bod Squad! Located at Loblaws SuperCentres across Canada. Like Joe Fresh, really reasonable pricing – especially on sale! 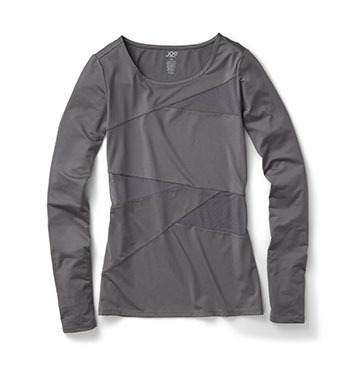 I like Gap’s active section because it’s dressed up basics. Their lounge wear is also incredibly soft for a post workout option! 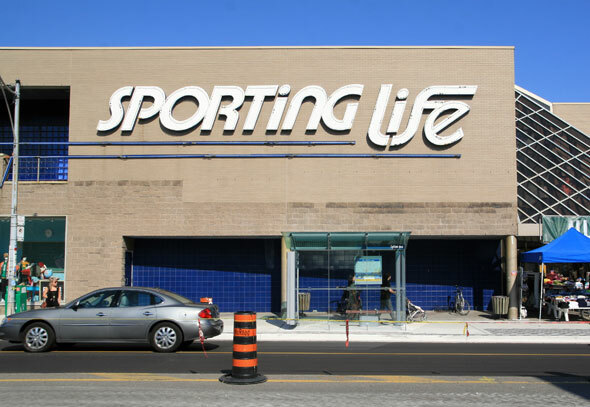 This Toronto activewear giant has been around forever! My sister Lindsay used to work here actually! I love Sporting Life because you know it will have what you’re looking for. There’s free parking and generally the people are pretty helpful. In the summer they have great shoe sales that are good to watch out for! Also, the annual Sporting Life 10k is my favourite Toronto race! I can’t do a Toronto activewear post without including Lululemon. Talk about a great Canadian success story! I love their clothing, it is basically my uniform. Also, gentlemen please note this is a picture of Tom Brady wearing Lulus … if he can do it so can you! ← Mayor Rob Ford’s Weight Loss – Owning it!